Legendary boxer Mike Tyson will return to the stage at MGM Grand Hotel & Casino on the Las Vegas Strip. Following the knockout premiere of "UNDISPUTED TRUTH" in 2012 and subsequent, sold-out runs on Broadway and again at MGM Grand, the champ will return to the stage for a limited run at Brad Garrett's Comedy Club with "Mike Tyson UNDISPUTED TRUTH – Round 2." 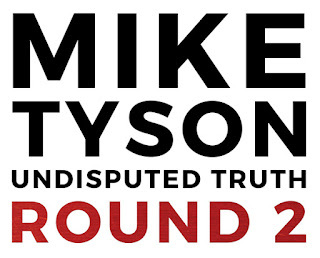 Picking up where "UNDISPUTED TRUTH" left off, Round 2 will be an unapologetic look at the ups and downs of Tyson's post-boxing life and career. "Mike Tyson UNDISPUTED TRUTH – Round 2" will debut Sept. 7 at 10 p.m.
Co-created and co-produced by Adam Steck, CEO of SPI Entertainment, and Kiki Tyson, who also wrote the show, "Mike Tyson UNDISPUTED TRUTH – Round 2" is a no-holds-barred, one-man show featuring untold stories from the world's most illustrious heavyweight boxing champion. "It's been an amazing ride, sharing my journey to audiences around the world," Mike Tyson, the former Undisputed Heavyweight Champion of the world, said. "It only felt right to bring my story full circle and address the many ups and downs of my post-boxing life. It's been a wild ride and I can't wait to step back on stage at MGM Grand." A follow up to the critically-acclaimed "UNDISPUTED TRUTH" – Live on Stage, the first show in the history of Las Vegas entertainment to be created and produced in Las Vegas and result in a Broadway run, "Mike Tyson UNDISPUTED TRUTH – Round 2" was crafted to give the public an honest, live autobiography of one of today's most complex figures. The show will deliver captivating vignettes from Tyson's life in an up-close-and-personal setting. 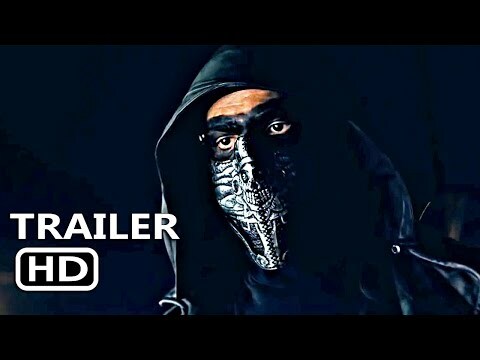 "It's an honor to once again partner with Mike and Kiki on the continuation of what was truly a special production," Adam Steck, "Mike Tyson UNDISPUTED TRUTH – Round 2 co-creator & co-producer and Founder & CEO of SPI Entertainment, said. "Mike is a living legend of the ring and stage, with a journey as captivating and tumultuous as anybody in the world. Round 2 will have audiences laughing, crying and, once again, rooting for the 'Baddest Man on the Planet.'" "Mike Tyson UNDISPUTED TRUTH – Round 2" will be performed Thursday through Sunday from Sept. 7 through Nov. 19, with select dark dates. All shows begin at 10 p.m. Tickets start at $54.95 plus tax and service fees and can be purchased at any MGM Grand box office, by phone at (702) 531-3826 or (866) 740-7711 and online at mgmgrand.com or ticketmaster.com. Special VIP Knock Out Packages are available for $249.99 plus tax and service fees and include a VIP ticket, a souvenir photo with Tyson, which would be taken during the post-show meet and greet, and a souvenir VIP lanyard. For more information and a current schedule, visit mgmgrand.com.